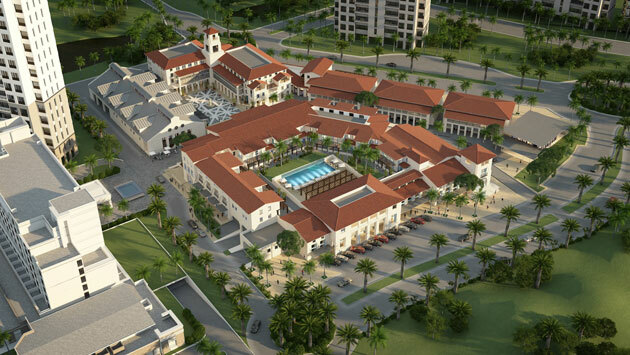 Santa Maria Town Center is a 400,000 sf mixed-use development located in the private neighborhood of Santa Maria Golf & Country Club in Panama City, Panama. 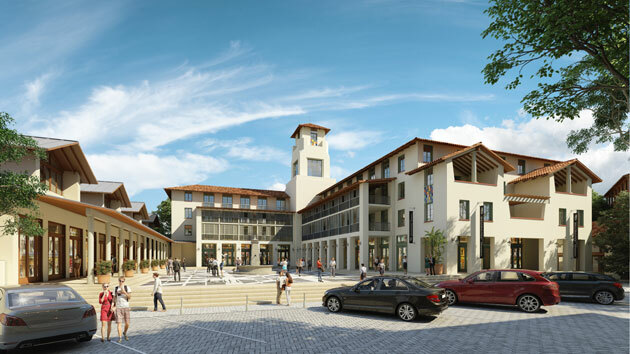 It has 100,000 sf of retail, with 70 residential units in the form of townhomes and stacked flats. 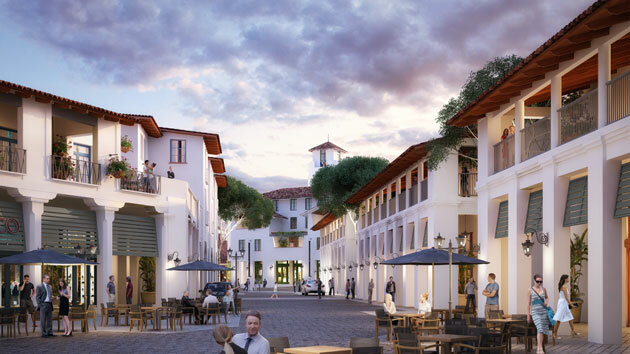 The design is organized around a compact arcaded non-linear main street with retail at sidewalk level and residential units on upper floors. The main street is bookended by two plazas: a smaller plaza marked by a one-story glass building, and a larger rectangular plaza anchored by a large supermarket. The architecture of the buildings is rendered in Hispanic-fusion style, with tiled roofs and smooth plaster accented by wooden rafters, balconies and shutters.